I wouldn’t say I make a habit out of hanging out at hotels with friends. 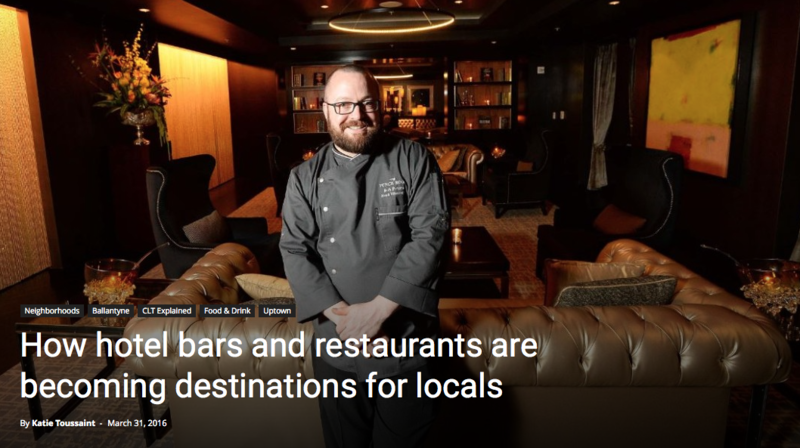 But a recent trip to The Punch Room on the 15th floor of The Ritz-Carlton uptown indicated a trend: Several hotels are trying to draw locals in, not just travelers passing through. Take a look inside The Punch Room. On a Thursday night, as I sat at the bar with coworkers, I saw couples in intimate conversation on a sleek couch, I saw pairs of friends laughing and a small group huddled in the back lounge, and I saw two people from Charlotte’s entrepreneurial scene having drinks.